The oikos UNDP Young Scholars Development Academy 2013 at the UNDP Istanbul International Center for Private Sector in Development (IICPSD), Istanbul, provides PhD students and young scholars working on poverty and sustainable development from an organisational or management perspective a platform to present and discuss their on-going research projects with fellow students and senior faculty. Research on inclusive business models, market development and sustainability at the Base of the Pyramid (BoP) is a promising but challenging field for young researchers and PhD students. It calls for a multitude of methods, combination of disciplines in organisational and management studies and new research designs that appropriately capture the realities in informal and subsistence markets in developing countries. The 2013 academy focus, “Organising and governing inclusive business”, aims to attract papers fostering new ideas and solutions on organisational and governance structures that promote private sector activities that include the poor in multiple ways and create opportunities for sustainable development. Of particular interest are hybrid business models or structures at the intersection of businesses, governments and other stakeholders that create inclusive markets across sector boundaries. The event aims to advance academic research on inclusive business, development and governance issues, build networks across disciplinary boundaries and to prepare the ground for research that is relevant for both academic and business audiences. Poverty and sustainability impact assessment and evaluation.The academy is organized by oikos and the UNDP Istanbul International Center for Private Sector in Development. Anjan Ghosh is a doctoral candidate with the Strategic Management group at the Indian Institute of Management Calcutta (IIMC). His research interest covers organizational change, organizational hybridism, social entrepreneurship and development sector dynamics. Anjan has over 15 years of international management experience in start-up, turn around and innovation. He served as the founder-director and head of a successful e-learning venture (TCT), Indian head of a leading NASDAQ listed organization (DigitalThink), profit centre head for a global talent development corporation (NIIT) as well as the Principal Researcher, Innovation Lab and theme anchor on ‘inclusivity’ at India’s second largest IT company (Infosys). In the early stage of his professional career, Anjan worked as a programmer in a leading government organization (Regional Computer Center Calcutta) and as a faculy member in a reputed high-school (MP Birla Foundation HS School). 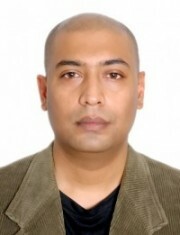 A post-graduate in computational physics from Jadavpur University, India – Anjan’s recent academic publications include a book chapter on Social Entrepreneurship (Springer, 2013), teaching cases and teaching notes on social entrepreneurship (Ivey Publishing, 2013) and on entrepreneurship in India (TATA McGraw-Hill, forthcoming). He has also been the co-author of a patent (pending) on Innovation Co-creation Network. His work on Social enterprise legitimacy has been selected for the forthcoming 2013 Strategic Management Society (SMS) Special conference in India for ‘BoP and Reverse Innovations’ track. Anjan has been the recipient of several professional and academic awards. The most recent ones are ISB IVEY Global Case competition, 2012 (first prize) and Case Chase Competition (2012) by Society of Entrepreneurial Education India (first prize). Ankita is a doctoral student in the Organizational Behaviour and Human Resource Management area at Indian Institute of Management Kozhikode, a premier institute of higher learning in India. 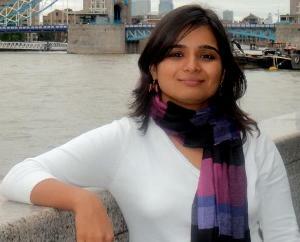 She holds a Masters degree in Psychology (Organizational Behaviour) from the University of Delhi, India. Before joining the doctoral programme, she worked at Bharti Resources Ltd., India as a training content developer for a brief period of time. Her doctoral dissertation seeks to explore and model social enterprise learning processes, which impact social enterprise effectiveness. She has employed field based qualitative research methods in her study. Her research work has been well received at various national and international conferences. She has co-authored a teaching case on an Indian social enterprise, which has been accepted for publication in the Asian Case Research Journal. She was also awarded the ‘Best Reviewer Award’ in the Entrepreneurship and Small Business Track at the 2012 Annual Meeting of Southwest Academy of Management, New Orleans, LA. As a budding researcher, she is keen on learning about all aspects of sustainable development, and organizational systems and processes which can be developed by practitioners to facilitate it. Her research interests include social entrepreneurship, sustainable development organizational learning, training and development, organizational change and development, group processes, and qualitative research methods. In her free time, she likes to read, play badminton, cook and listen to music. She enjoys travelling and exploring new places. Catalina Martínez is a doctoral candidate in Development Economics at the Graduate Institute of International and Development Studies in Geneva, Switzerland. Her research focuses on understanding how market-driven initiatives can grant access to goods, services and opportunities to disenfranchised populations in commercially viable ways. In particular, she is interested in the trade-offs that inclusive businesses face between achieving profits and social impact, as well as in the financial and regulatory constraints that these innovations need to overcome before reaching scale. Catalina is a consultant for the OECD Project on Innovation and Inclusive Development. She works in the project’s policy analysis and research on inclusive innovations, with a particular focus on Colombia, Indonesia, South Africa, China and India. She is also a research assistant of the Investment Management team at Zurich Insurance Group, where she works in the Strategic Asset Allocation team that assesses risk-return trade-offs and sets the Group’s long-term investment strategy worldwide. Catalina holds a MSc in International Economics from the Graduate Institute of International and Development Studies in Geneva, Switzerland. She received a BA in Economics and a BA in Philosophy from Universidad de Los Andes in Bogotá, Colombia. 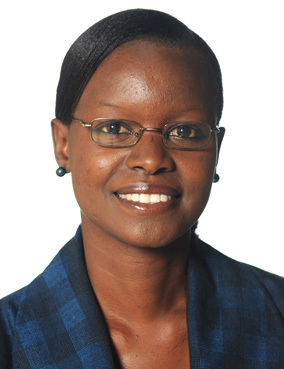 She has also had work experiences at UNCTAD and WTO. Christine Husmann is a PhD student at the Center for Development Research (ZEF) at the University of Bonn, Germany. Her main interests are centered on the role that the private sector can play in reducing poverty and marginality. Christine is a member of the MARGIP (Marginality Reduction for Enhanced Investments for and with the Poorest) research program at ZEF. Embedded in this research program, her PhD focuses on transaction costs that hinder investments in the production and distribution of agricultural inputs in Ethiopia, which would enable the marginalized poor to access improved seed and fertilizer and thus increase their productivity. 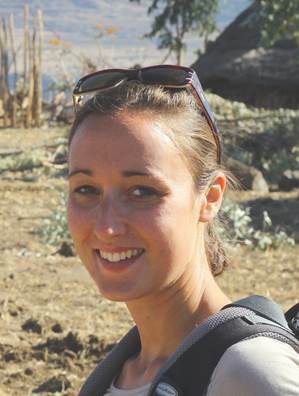 Christine studied in Trier (Germany), Valencia (Spain) and Tübingen (Germany) and holds a diploma in geography and a bachelor in economics and business administration from the University of Tübingen. 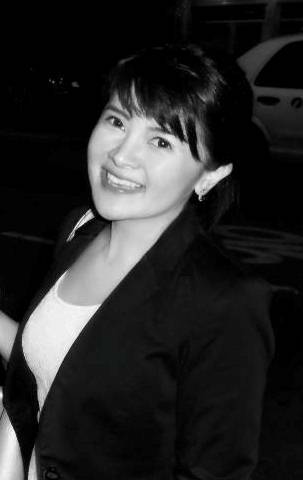 Before starting her PhD in 2010, she briefly joined the German Development Institute, where she worked on intellectual property rights and their impact on the provision of global public goods. Her research has brought her to India, Latin America and Africa. Originally from Trinidad and Tobago, Cle-Anne is a Doctoral Candidate in the Department of Management at the University of Otago in New Zealand. 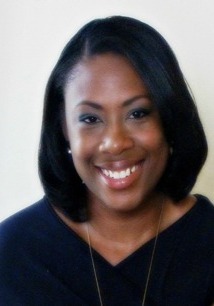 Her thesis is titled “Overcoming Obstacles: Entrepreneurial business models for overcoming challenges in the deployment of renewable energies in developing countries” – work that has brought her into frequent discussions with renewable energy entrepreneurs in Africa, Asia & the Pacific and Latin America & the Caribbean. In addition to guest lecturing and participating in research projects in organisational sustainability, she also teaches in the School of Business’ undergraduate course in Entrepreneurship. Cle-Anne’s educational background includes a Bachelors degree in Environmental & Natural Resource Management and Geography, as well as Masters degrees in International Cooperation Policy (specialised in Environmental Policy and Administration) and International Material Flow Management. She also spent a short time working in the petrochemicals and biogas industries. Cle-Anne worked as a Project Manager at the Institut fuer angewandtes Stoffstrommanagement (IfaS) in Rheinland-Pfalz, Germany, on the development, acquisition, fundraising and management of regional (European) and international renewable energy and sustainable development projects. Here, her interest in the investigation of business strategies for bringing sustainable innovations to developing markets piqued and so did her passion for sustainable project development. Cle-Anne is married, and she and her husband have lived in Japan, Germany and now New Zealand. Her hobbies are writing, jogging and travelling, but her research interests include renewable energy entrepreneurship, entrepreneurial perceptions of performance as well as eco-innovation and environmental/sustainable intrapreneurship. This is Frederick here. It is a delight to know that you have also been selected to join the 2013 oikos Academy. Together we will share what kind of services we are rendering to our world in the quest to build a sustainable future for all. I am sure this is going to be a beautiful exchange, and of course intellectually stimulating conversation on major socio-economic issues troubling the developing world. There is a lot at stake, and as they say, ‘we are the ones we’ve been waiting for’ to contribute to change at the bottom of the pyramid. So here’s where I am coming from: Currently, I am a final year doctoral candidate in International Business at the University of Turku, Finland. I hold a BSc in Economics and International Business from the Università Politecnica delle Marche, Italy, and a MSc in International Business (with distinction in the final thesis) from the London South Bank University, London, UK. Apart from some experience in teaching international strategy and case study design, I have presented competitive papers in about a dozen high profile international conferences such as EIBA and AIB. I have also published a few book chapters edited by distinguished international scholars and articles in international peer-review journals. Health is wealth and the populations at the bottom of the pyramid deserve equal justice in this regard. They are not just consumers, but they are value co-creators and innovators. Meeting their needs is a socio-economic, political, and ethical imperative. So, here’s where I am heading with my research. Broadly, mine is an inquiry into strategic corporate responsibility of pharmaceutical firms, NGOs, global governors, and governments in innovatively co-creating/co-protecting value with and for consumers in emerging economies. I study how this is done through cross-sector social partnerships and global health diplomacy. The study seeks to contribute to the neo institutional theory and resource based theory using multiple methodological approaches. So what? My study seeks to offer empirical insights into how the above traditionally unrelated actors shape and are shaped by institutions. Understanding this will help translate specific conceptual targets into cutting-edge mechanisms for co-creating value and inducing institutional and market changes in the WECS African context – which is my own brainchild. There’s more on this in my forthcoming book. Grace Dewi is a second year Fulbright PhD student at the Rutgers Business School, USA. Prior joining Rutgers Business School, she earned her bachelor from Berkeley and her master’s degree at The University of Tokyo. Her past professional experience includes working at clean-tech venture capital, bio-nanotechnology market advisory, patent law firm, and apprenticeship in NASA ground-based research at the Lawrence Berkeley National Lab. Her current research interest lies at the intersection of strategic alliance, entrepreneurship, marginalized farmers, and the emerging social venture opportunities. She enjoys running and swimming. I am a third-year PhD candidate in the Department of Business Strategy and Policy at the National University of Singapore. I received my Bachelor of Arts in Economics and Political Science from the University of Hawaii – Manoa in 2006 after spending two of my four undergraduate years studying abroad in Russia, Kyrgyzstan, and India. Between degrees, I spent several years working in a diverse set of contexts: financial auditing in the United States, teaching at a high school in Thailand, conducting research at an energy institute in Moscow, and finally working in international strategy for Germany’s largest transportation and logistics company. I am currently conducting fieldwork in Central Asia for my dissertation about the interaction of formal and informal enterprises and how this dynamic influences development. I am also interested in production sharing agreements in developing countries and how government policies influence the type of complementary businesses that arise. In addition to my academic work, I may sometimes be found contributing to policy papers, gazing through a telescope atop the Tajik Pamirs, or going for a morning run under the shadow of an ancient madrassa in Uzbekistan. The research questions I am most passionate about: What is the role of business in alleviating poverty? What structures and institutions enable certain types of businesses to thrive while others fail? How did the richer, peaceful, and egalitarian countries create the environments we see today? Kassahun is currently a PhD student in Japan at the Graduate School of Technology Management, Ritsumeikan University. 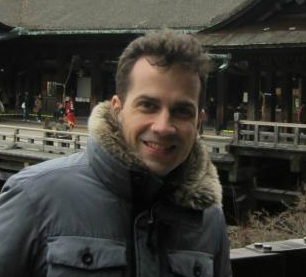 Prior to joining the PhD program, he was a research student in Kyoto University, Japan conducting research and attending intensive Japanese language study. He studied Management of Technology (MSc) at Delft University of Technology, the Netherlands and Industrial Engineering (BSc) at Mekelle University, Ethiopia. 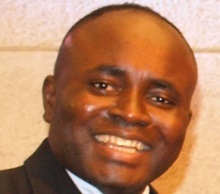 Moreover, he attended several trainings and short-term courses in Africa, Europe and Asia. He was a lecturer in Mekelle University and Addis Ababa University for more than four years. 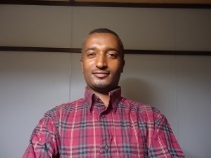 Besides teaching and research assignments, he served at different management positions and working groups in both universities, including his service for two years as a Head of Industrial Engineering Department at Mekelle University. He has been also involved in different international training and consultancy projects. His present research is on the diffusion of green innovations (renewable energy technology) and innovation systems building in developing countries. In his spare time, he likes attending online and offline events of Ethiopian Orthodox Church with his family. I am a Lecturer of Strategic Management, Marketing, Leadership and Entrepreneurship at ISM (Senegal, West Africa). I have done a Master in Management and Organisations in Africa, a Master in Marketing Communication/Management, an MBA and I hold a Trainer Certificate in Leadership and Entrepreneurship. I am currently working out my PhD in Business at AIU (Atlantic International University). My PhD research is about “Women’s Leadership for Sustainable Entrepreneurship in Senegal: A Study of Constraints and Challenges”. Entrepreneurship etc. I have been a Project Manager of a couple of national and international projects such as African Case Study Development in partnerships with GBSN, Gravitas advisors and Ivey Business School, Development Strategy of Saint Louis in collaboration with HEC Paris and Wharton-Lauder Institute. I am a Former Gender Component Manager in “Woman Leadership for Democracy and Education: Project between Kansas and Dakar Universities”, former Chief Operation Officer (COO) in Pan African Alliance for Woman Entrepreneurship Development (Project in Partnership with ISM), Coordinator of ASHOKA Programme (Social Entrepreneurship), UN Online Volunteer etc. the Global Student and Faculty: a Quest of Adaptation and Representativity for an Inclusive Management Education” in New Perspectives on Management Education (Excels Books, 2012). “Innovations in Conducting Universal Research: The African Challenge for Representativity, Inclusiveness and Sustainability” in Innovations in Business Schools (forthcoming). My other areas of interests include music, reading, travelling to meet new people, new areas and learn from them. I am actually Head of Innovation, Entrepreneurship & Technologies Lab at ISM (International School of Management, Senegal, West Africa). 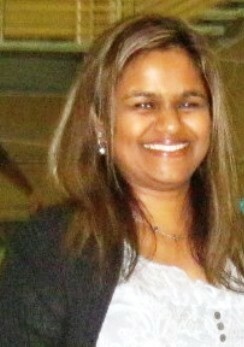 Prilashnee Moodley (Michelle) is a South African PhD student at the Graduate School of Business, University of Cape Town. The focus of her PhD research is on Informal Sector Entrepreneurship and Inclusive Business. She was awarded a scholarship by the Bertha Centre for Social Innovation and Entrepreneurship to pursue her PhD in Informal Sector Entrepreneurship. 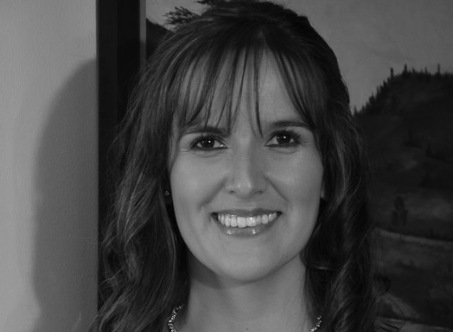 Michelle completed an MBA with distinction at the Graduate School of Business, University of Cape Town, and holds a B.Sc in Computer Science from the University of KwaZulu Natal and a B.Sc (Hons) in Information systems from the University of South Africa (UNISA). She has an IT and management background and is employed as a Strategy Manager by a financial institution. Tim is a doctoral candidate in organizational theory at the Graduate School of Business Administration, Economics, Law and Social Sciences, University of St. Gallen. His thesis examines political and economic practices of organizations turning the environment and social relations into economic goods. In his role as an oikos PhD Fellow he moved the oikos UNDP Academy 2012 to Nairobi and founded Student Reporter in 2011, a global journalism incubator and online media outlet, that is being incorporated in 2014 as an independent media organization. Before starting his PhD, Tim worked at the intersection of organizational strategy and social enterprise as a researcher, foundation strategist, and management consultant in Afghanistan, Germany, India, and Spain. He has a banking background with a corporate and investment bank. 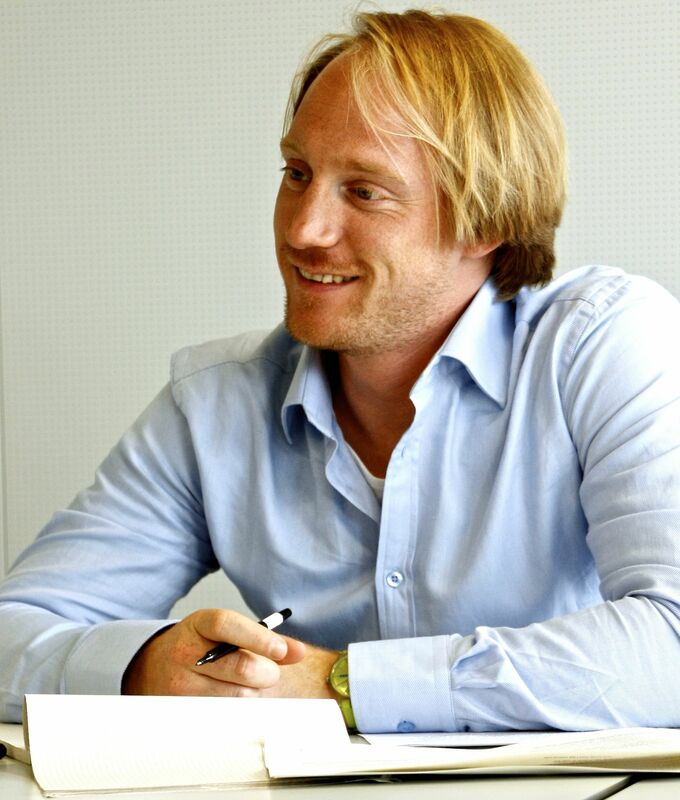 Tim received his MA in Business Economics, with distinction, from the University of Witten/Herdecke, Germany. His thesis about the growth strategy of an Indian hospital chain received the University`s best faculty award. During his studies, Tim interned as an economic policy associate at UNDP Ecuador and co-initiated a global studies expedition investigating grassroots leaders in 25 countries in Africa, Asia, and Latin America. Tim is a member of the Academy of Management, European Group of Organizational Studies, the Hub Zurich and Sandbox. He loves to dance Tango Argentino and to explore the Swiss Alps with his climbing and snow gear.